What Makes Steel A Green Building Material? Home » Guide » What Makes Steel A Green Building Material? Steel has been an important green building material in providing solutions for people’s daily needs. Whether it’s for building infrastructure, a garage, and for residential and commercial purposes, steel has become a more preferred choice than concrete and wood. Moreover, probably unknown to many, this building material is also a leader in terms of innovation and in addressing environmental issues. There is perhaps no issue more concerning nowadays other than global warming and environmental degradation. Among the industries advocating for more environment-friendly practices is the steel sector. Some of the efforts being promoted in the steel sector are the shift to the electric arc furnace when producing steel, waste reduction through off-site prefabrication, and the use of new technology that emits lower carbon. Before deciding on what construction materials to use, make sure your building adheres to your local green codes and standards. Usually, every major green building material standards and rating acknowledge steel for residential and commercial purposes. Steel is an eco-friendly building material. Steel production requires vast energy and resources. Unlike other industries however that intentionally neglects their responsibility in mitigating the negative effects of their production process, the steel sector takes an extra effort in contributing to a more sustainable next generation. It has invested in new innovative technologies, including electric arc furnace to promote sustainable building. Moreover, the steel sector adopts a steel making process called EAF that utilizes electricity and recycled steel. It rejects the use of blast furnace that involves natural resources like coal and iron ore in the production process. Data from the World Steel Organization show that when compared with EAF production, a steel-making process that involves blast furnace uses up to 12.5 times and 50 times the amount of limestone and coal, respectively. Since 1960, steel producers across the globe have committed themselves to reduce energy requirement in producing a ton of steel by 60%. As we continue to see the steel sector relentlessly making efforts to adopt more sustainable building practices, we would likely to reap other key benefits such as lower material waste and carbon emissions. Steel is a premium sustainable green building material. Aside from being an eco-friendly building material, steel is a more preferred choice for modern construction because of its inherent strength and reliability. Moreover, its inherent strength brings a considerable amount of benefits to the environment. Steel only requires fewer materials and resources to build a structure that can handle the same amount of stress or load as other building materials do, thanks to its higher strength-to-weight ratio. The prefabrication process reduces carbon emissions and material waste as transportation and construction time are significantly reduced. Steel maintains its structural integrity – durability and strength -over time. It does not twist, warp, split, burn, or creep. It is also resistant to pest infestation and moisture build-up. This is the main reason why steel buildings usually last longer than structures built through wood or concrete. 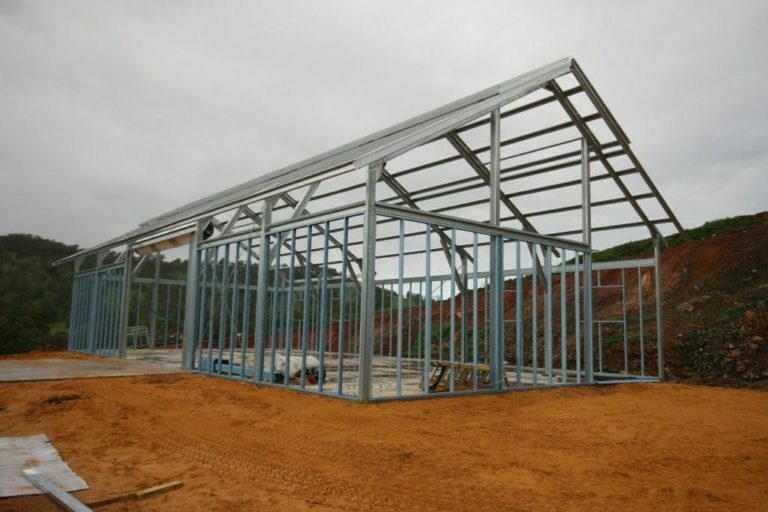 In fact, due to a natural element zinc coating, steel framing could last from hundreds to over a thousand years. Steel’s conservation of materials and resources results in significant carbon emission reduction in the long run. What truly separates steel from other construction materials is its ability to be recycled. In fact, it is the world’s most recycled material where over 650 million metric tons of it being recycled annually. This is more than all other materials –glass, paper, and aluminum – combined. In the U.S alone, over 82 million tons of steel were recycled in 2008. Moreover, steel is the only construction material in the LEED program that has an automatic minimum default value for recycled content. What is more interesting about steel is that when it is recycled, it is able to retain its properties without losing its structural integrity. This means that steel can have a boundless life cycle that promotes lower waste production while also conserving energy and natural resources. Data from the World Steel Organization show that for every 1,200 lbs of new steel being produced through recycling, over 250lbs of limestone, 1,600 lbs of coal and 3,000 lbs of iron ore are being saved. This is what makes steel truly sustainable. Since 1990 to-date, more than 22 billion tons of steel has already been recycled across the globe. The steel sector has reduced its energy use in steel production by about one-third since the early 1990s. Over 95% of the water used during the steel production is recycled and returned. The water is even cleaner than when it was obtained from the source. The steel sector reduced carbon emissions by nearly 50% which makes it having the highest emissions reductions among other any major industries. Around 98% of materials used to produce steel create useful byproducts including slag. Each steel component that is used in the construction has recycled content. Thanks to its metallurgical properties, steel can be recycled continually from one product to another without performance degradation. 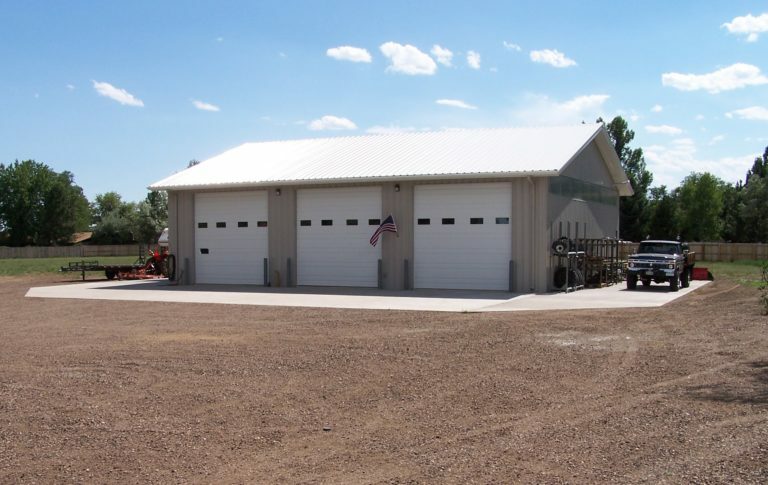 Because steel buildings are prefabricated, they only require low to zero maintenance. Since they require fewer materials, they also reduce the costs incurred in transporting and constructing structures. Steel buildings are very flexible in design which in turn promote energy-efficient practices including natural lighting, solar panel installation, and insulation. This results in energy cost reduction overall. 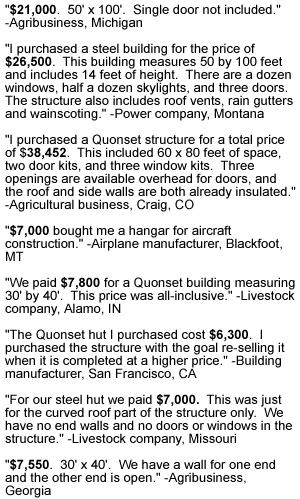 It must be clarified that going for a green building material does not always mean sacrificing your budget. While almost all sectors are now being pressured to take responsibility in addressing environmental issues, this is not really new to the steel sector. As the sector invests more in innovative technologies and research, it’s increasingly becoming obvious that it is environmentally responsible. Unknown to many perhaps, being environmentally responsible can translate to financial rewards that can come in the form of faster construction timelines, energy savings, and operational efficiency.